lil chung's lil adventures: Happy 5! I'm definitely a few weeks late from the official blog-iversary but better late than never to celebrate (official birthday was on June 9). 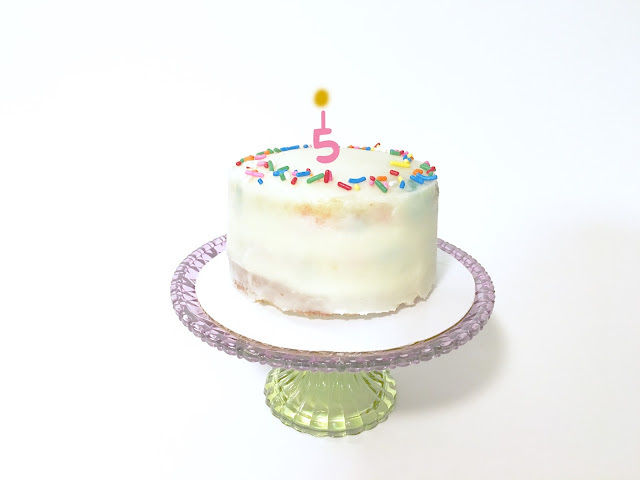 I can't believe my little blog baby is 5. So in honor of the blog, I baked a cake---but it was also an excuse to practice making smoothly frosted cakes (nothing is prettier to me than a pristinely decorated cake with smooth lines). My attempt was modest but these cake tips are fantastic (Molly makes the most beautious cakes). And I think I made some progress since my first layer cake back in 2009. 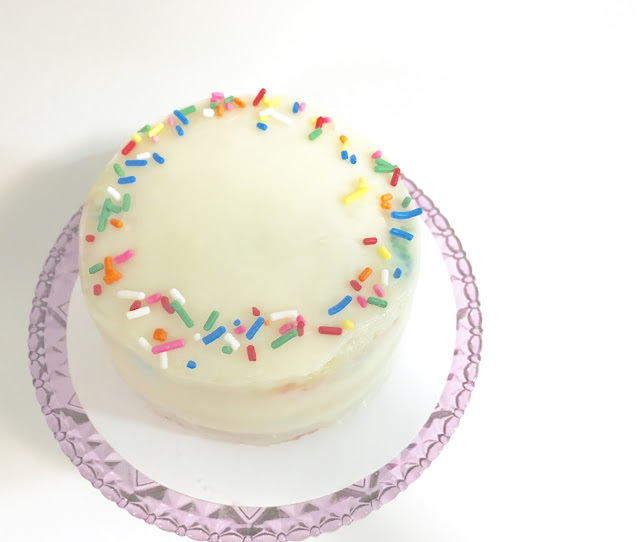 I can't wait to experiment more with my mini cake pan to make more mini layer cakes! And an extra special helpful aide for making a layer cake: cake strips! 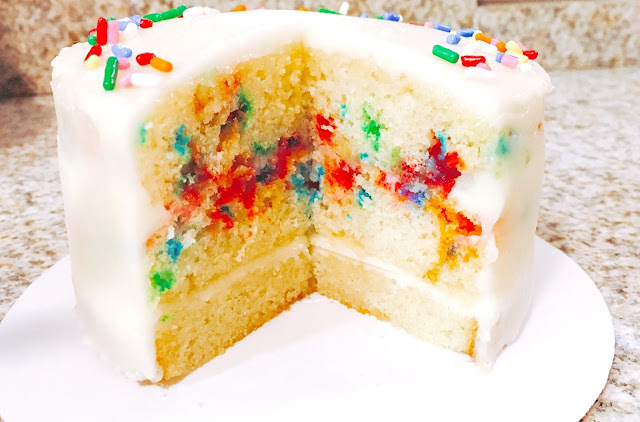 A cake strip is merely a wet piece of fabric tied around the cake pan and through science, the cake is baked without any domed tops. This site explains the DIY steps. Here's to many more blog birthdays and food adventures!